Hello, my angel delights! Happy Tuesday, and I hope you're having a lovely week so far. Now, I had to work to get my hands on this. Technically when translations are made I'm supposed to get two or three copies, but even though I'd chased this up several times, years had gone by and clearly it was just not happening. So I went online and searched around and found a single copy for sale through Amazon. I felt a bit silly ordering it (yes, that is my own name on the cover there, Amazon employees, keep moving on) but I'm so incredibly glad that I did because just as with the Egmont Poland version of Shadows on the Moon, this book is an object of transcendent loveliness. It has the same unique supersoft velvet finish to the cover, the same flippy cream paper that makes it possible to bend the book completely in half, the delicate traceries of spot UV on the title and the details of leafy spiny branches (on Shadows, these were bamboo branches, here they seem to be hawthorn, if I'm any judge WHICH IS PERFECT) and my absolute favourite: French flaps. IT IS GORGEOUS. It, too, is replete with loveliness. The colour hasn't come out brilliantly in these pictures, but writing on the spine is blue and the endpapers are leaf green. The cover itself is taken from a piece of vibrant collage artwork which was specifically created for the book - and it's incredibly gratifying to see my name there on the inside flap, and a quote from my story on the back, too (the third one down). 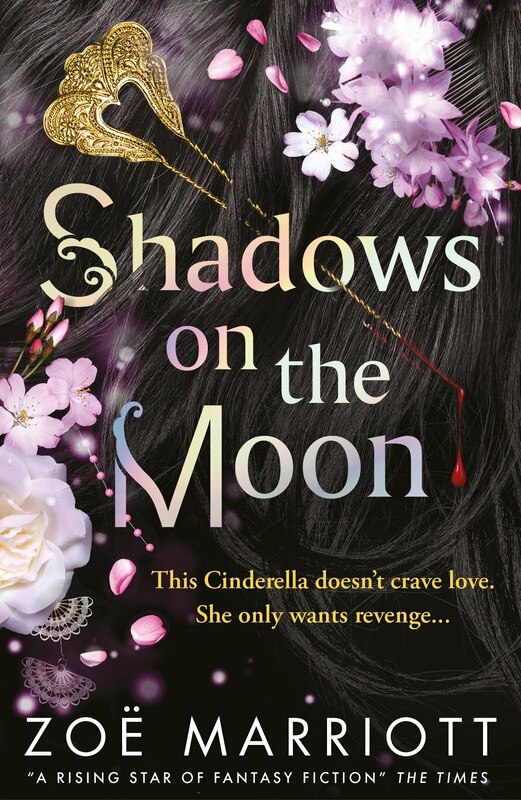 My story in this anthology, 'Storm Clouds Fleeing from the Wind', is effectively a short prequel to Shadows on the Moon, and is the story of how Akira came to dance at the Shadow Ball years before she ever met Yue, and how she was chosen as Kage no Hime. I've talked before about how special this story is to me - it's not only the first short story I've ever had published, it's also a story that my father encouraged me to write, and which I completed shortly after his death in order to fulfil my promise to him to keep writing. When my two author copies of this book arrived, the temptation to flick through and find my own story and reread it before doing anything else it was irresistible - and I was thrilled and surprised to find that it literally brought up the short hairs on the back of my neck and completely arrested my attention. I was spellbound by it. And I wrote it! I think it may be the best thing I've written to date, and I don't say that lightly. A lot of people want to know more about Akira and see more stories in the world of the Moonlit Lands (and I am working on that last one, too) but although US readers will be able to buy this book for themselves or borrow it from the library come the end of the month, there's no word yet on when or if Walker Books will bring out a UK version. And it doesn't seem fair that US readers can get more of the stuff everyone's asking for but UK ones can't. I wish I could offer up one or both of my author copies, but my mother stole one when she dropped by to see me on Friday (curses!) and, you know, I do want one for myself. Luckily, I've discovered that this book, too, can be had through Amazon for a reasonable-ish sort of price, although still not until the end of March. So I'm going to order two copies, sign 'em, and give them away to two UK readers when they're available. How does that sound? Good? More details when I have the books in my hot little hands. Read you later my lovelies! Hello, Dear Readers! Welcome back! Over the weekend (despite taking regular breaks to stick my head over a bowl of hot water and Olbus Oil and steam my sinuses in order to prevent my eyes from exploding) I broke 50,000 words on BaBBook! Now, I'm very, very (very) bad at estimating how long my novels will end up being - but with the way the story is shaping up, I'm pretty sure I can state that I'm now in the final third of the book, which means all Hell is breaking loose in the story and things are metaphorically blowing up all over the place. My favourite part of any story! There is a monster in the forest, whispered the trees. The tree shuddered a little. I turned away to crouch by the body of the shaggy coated serow I had just brought down. Its thrashing and struggling had already stopped. My fingers sank into the soft, greyish fur as I turned it over, and looking down into the animal’s swiftly clouding eyes, I felt deeply grateful. It was a clean kill. All living creatures struggled for survival, and so death was always painful. But the arrow was embedded deeply in the mountain antelope’s heart. It had only suffered for a moment in its passing. That was the best I could do. The antelope’s pelt would make a warm blanket and perhaps mittens for the coming winter. Its meat, hung and cured, would feed us for many days. The horns and bones would become a multitude of useful tools. The animal’s death had been necessary to our survival – for I had seen little game today, and I was already perilously close to the edge of the dark woods. The trees were anxious, shivering and creaking around me, warning me from wandering deeper. We had needed this. Digging my knee into the crisp fallen leaves, I pulled the arrow free from the serow’s body, examined the horn arrowhead for damage, then wiped it off and placed it back in the quiver strapped to my back. My bow, swiftly unstrung, slid into the quiver beside it, done for the day. I would barely be able to carry what I had caught as it was. I lifted the serow with a grunt of effort, draping its weight across both my shoulders so I could hold its hindquarters in place with one hand and grasp its front legs with the other. Glancing down to make sure that the brace of small birds I had collected from my snares was still securely attached to the cord holding up my rough leather leggings – they were – I turned and made for home. Around me, the trees sighed with relief, leaves shaking gently as I moved away from the edge of the dark woods. There is a monster in the forest, the trees murmured gently. The best track to listen to while reading that snippet is probably Evensong, by the way - it's usually the first one I put on when I start work in the morning. But I tweeted the other day that BaBBook is simultaneously the sweetest, fluffiest book I've ever written and ALSO one of the darkest and most twisted, and this is reflected in the fact that my playlist go-to track (the one I slap on when I'm stuck and need to reconnect with the mood of the thing) has been Rains of Castamere, much to my surprise. 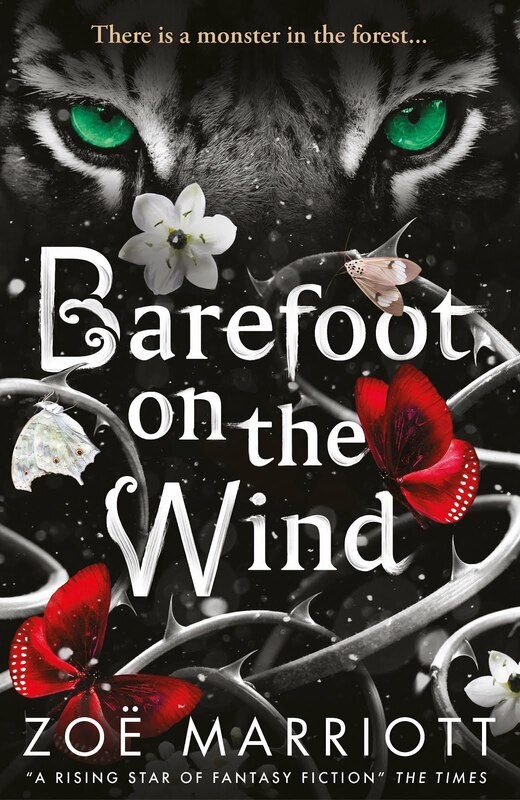 This book has been a lot of fun to write so far - despite the usual sporadic episodes of ugly emo weeping - which surprised me because usually when you've been desperately looking forward to writing something for ages it turns out to be a complete b*st*rd (ie., Shadows on the Moon). But it's definitely a strange book. Not just strange in terms of content, but in the way it's unfolded for me. I'll probably talk more about that when I've finished this baby and sent it off to Wonder Editor and Super Agent. Happy Thursday, oh darling duckies! Just a quick post today to share two items. 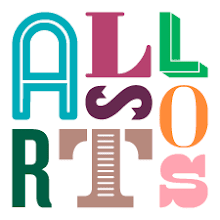 The first is a link to my Wednesday post on the Author Allsorts about how to write a great opening. Check it out if that's your thing. The second, of course, is the names of the winners for #Zolahpalooza. My thanks to everyone who entered, commented, and spread the word - you're all my precccioussesss. So who are the lucky winners? Drumroll please! a Rafflecopter giveaway I have your email addresses and I'll be contacting you really soon to get the postal addresses where you would like your prizes shipped, and your dedication requests. Assuming I get them by Saturday the prize packs will be posted then. If not, I'll send them out whenever I DO get them. My deepest sympathies to those of you who entered but did not win - I know it's a bummer. But worry not! In upcoming months there will be an even bigger giveaway connected to the release of Frail Human Heart - I mean it, it's going to be stupidly megahuge, so you have a decent chance of winning then if you didn't now. That's all for this week, Dear Readers. Back with you next week, probably posting a snippet from #BaBBook and my writing playlist (if nothing else comes up between now and then). Have a lovely weekend! Hello and - ack - happy Monday, my cinnamon rolls! I know a Monday post is unexpected, but don't worry, I'll still be posting on Thursday to announce the winners of #Zolahpalooza (and if you haven't entered yet...er...why not? Get on that!). I've burst onto cyberspace today to break some news which I hadn't planned to share until next week but... well, an Amazon listing intervened, and I'd rather you hear it from me first. So, a few weeks ago I had an email from Candlewick Press - Walker Books' American sister company and the US publisher of The Name of the Blade trilogy. They wanted to talk about the title of the third book in the trilogy. 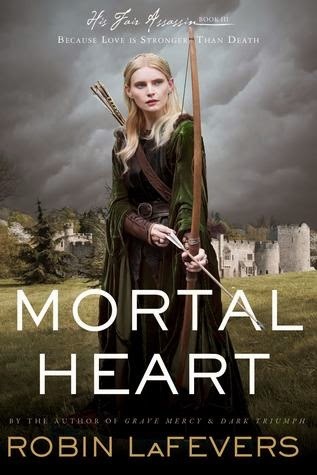 You see, although FRAIL MORTAL HEART had always been the name of the book (literally since I came up with the idea for the series in 2010, as the titles were one of the first things I thought of) and everyone liked it a lot... history, in the form of two other recently published or upcoming books, had overtaken us. 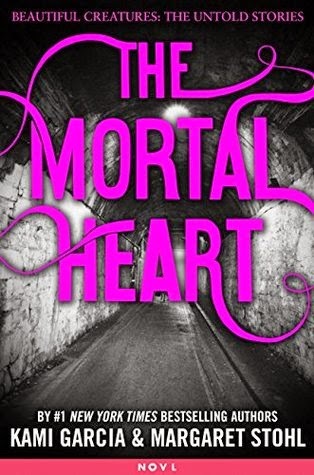 Those other books were, of course, MORTAL HEART, the third book in Robin LaFever's His Fair Assassin Trilogy, and THE MORTAL HEART, a Beautiful Creatures novella by Kami Garcia and Margaret Stohl. These authors are all NYT Bestsellers and their books are huge, especially in the US. I, on the other hand, am only a bestselling author in Germany (Hallo, schön Deutsch Leser!) and otherwise my books are sort of... let's say... petite in sales terms. And thus, this strong similarity in titles was a problem. Not for them, so much - but definitely for me. It is a fact universally acknowledged that in the world of publishing sometimes there are strange coincidences which seem to spring from the shared zeitgeist of creative energy that most writers swim around in on Twitter and Facebook and the blogosphere all the time. 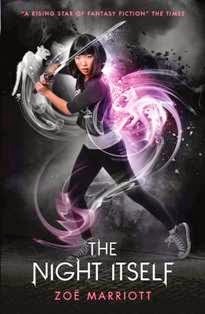 There's no connection between Robin LaFevers or Margaret Stohl or Kami Garcia and me, and obviously none of us knew that we were busily writing books or novellas with startlingly similar titles until it was kind of too late (for me, anyway). I admit that when I saw the announcement of the title of Robin's book my heart sank a bit. 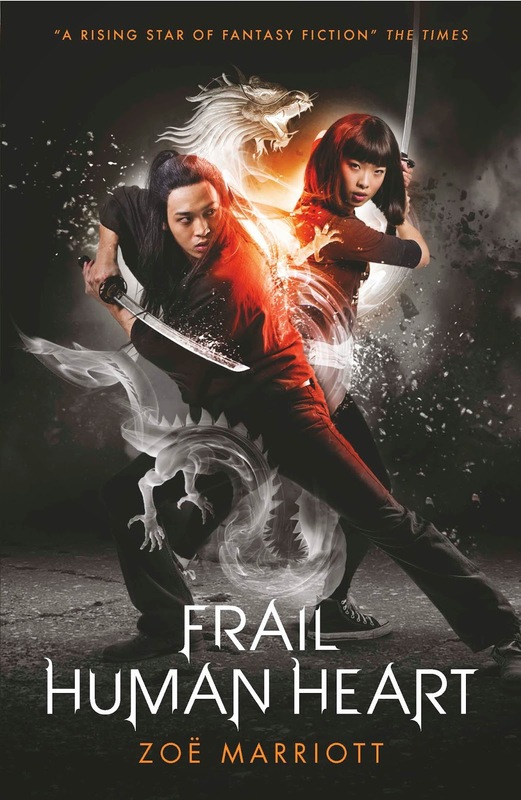 When, just under a year later, the cover for FRAIL MORTAL HEART was released, several US blogs picked it up and made fairly stinging comments on the fact that I'd apparently been too stupid to realise 'That title's taken!' I even had a couple of not very delightful Goodreads messages about it. By the time I saw the Beautiful Creatures one, it kind of felt like the universe was trying to tell me something. So the email from my US publisher was not out of the blue. AND - which is what prompted this post to be written today in the first place - Amazon pre-orders for FRAIL HUMAN HEART are now live! So if pre-orders are your thing, have at it. Hello, and happy Friday, Dear Readers! Before we go any further, a reminder that #Zolahpalooza is still in full swing and that you have just under a week now to enter for a chance to win one of the faaaabulous prizes on offer. Get in there while you still have the chance! I'm working on a screenplay at the moment and I'm sitting down working out the details of my main character... and I immediately went to write 'White British' - because that's what I am. And then I stopped my pen and thought 'Why??' So, I tried to write down something different, maybe British Indian. But then I stopped myself again. I'm not of Indian heritage. Is a British Indian woman's experience of life totally different from mine? I haven't lived it; how can I write it? And I know this is stupid because I have written about ancient Roman characters who obviously lived very different lives to mine. I guess I'm afraid that I'll get it wrong; that I might write or portray something carelessly that causes offence, etc. Do you have any reading recommendations maybe from diverse authors that supports the idea that it wouldn't be a kind of act of appropriation? Which is such a complex and fascinating question that I immediately decided I wanted to base a blogpost on it - and then freaked out because I'm not sure I can do justice to such a complex and fascinating question, especially in light of the literal landslide of debate and information about diversity which has spilled over the blogosphere in the past couple of years. The thing is, in theory Alex has come to the perfect person to offer some honest and practical advice on this. Like Alex I'm white, yet the vast majority of my characters are people of colour, many of them part of other 'minority' (ha ha ha) groups too, like the QUILTBAG or disabled community. I've been writing diverse books since 2006 and blogging about diversity since 2010. I talked about cultural appropriation here, the importance of looking at the real world here, stepping out of your privilege bubble here, and who gets to have a happily ever after here. And yet, and yet and yet. After all these years of talking about the importance of diversity... I kind of feel as if I've already said everything that I needed to say? Or maybe as if I've gradually come to realise how truly little I really know in the grand scheme of things. There are scads of people out there whose voices on this topic deserve to be heard just as much, if not more, than mine - and so perhaps it's time that I hop off my soapbox to make room for them, and shut up so that there's a little bit less noise drowning out what they have to say. So in a moment, Alex, I'm going to give you a comprehensive list of blogs and websites that are talking about this issue and offering advice, and you can dive into the discussion for yourself. Keep your heart and mind open - not to mention your ears - and perhaps at first keep quiet as you let it all wash over you. I think some time in the not-to-distant future you'll emerge enlightened and perhaps a little dazed, but a better and more thoughtful writer all the same. 1) Do not reduce your characters to their differences from you. By which I mean, if you decide to write a character who is of Chinese origin, do not make their sole characteristic that they are of Chinese origin. If they are black, do not make the colour of their skin their single defining trait. If they are disabled, do not make their disability literally the only interesting thing they have to offer, and if they are queer do not turn them into The Gay Character. Even if they're of Chinese origin, black, disabled and gay (and yes, there's thousands of real people who fit that bill) that still isn't enough to make a character. It's just a laundry list of external traits, and is equally as interesting - which is to say, not at all. Yes, most of us are influenced by the ethnicity and culture that we are part of and grew up within - but we all to react to that influence in different ways, and that? Is what makes us unique, interesting individuals, not just stereotypes. Your characters are your representations of the way you think real people work. They should therefore be multifaceted, possibly flawed, complex and fully rounded, like real people. Decide who your character is: the core of them. Are they kind? Brave? Judgmental? Needy? Angry? Violent? Reckless? Loyal? All of these things? How do they, as unique people, express these personality traits? What do they want, and how would they go about getting it? What do they love, and what do they hate? Make their ethnicity, their mental health, their gender and sexuality and their physical status, whatever they may be, a PART of this - a fascinating part which should be explored - but do not allow it to dictate your every decision on what they do and say and think. You surely wouldn't write 'White, British, able-bodied, straight' down and think you'd done the job as far as developing the character went, would you? The same goes for any character regardless of how different they are from your primary template - which naturally is based on yourself. If you're generally allowing a single (or even two or three) external traits to define your characters, you're... probably not writing compelling characters. Sorry. The main problem which I think holds people back from writing characters who are different to them is that they're afraid of getting something wrong. Yet instead of acknowledging the gaps in their intelligence and launching whole-heartedly into research about what life might be like as a British Born Pakistani woman - just as you would have launched wholeheartedly into discovering what life might have been like as noblewoman of Italian descent living in Britain before the fall of the Roman Empire, Alex - they do one of two extremely shortsighted and unhelpful things. Look, if you're going to write another culture, or about the life experiences of a person whose circumstances are entirely different to yours, of course you must be willing to devote time and attention to research! Respectfully approach and listen (that's important - really listen) to people who share traits with the characters you want to write about, read books by people from that community about their lives, seek out music or films or blogs made by those from that group. Accept and embrace this. You'll enrich not only your writing, but your life. 3) Accept that you are a mere flawed mortal and will make mistakes - and that your audience is the same. There is no such thing as a perfect book (or play, or film or TV show or whatever). I'm fairly sure at this point that there is no such thing even as an unproblematic book (or play, or film, or TV show or whatever). Sometimes people will not like what you have created. Sometimes they will have good reasons and you should try to learn from their criticisms. And sometimes they will misinterpret what you've written, or focus on their personal issues with it to the exclusion of everything else you've achieved in the work. And it will hurt. You're not a fifty pound note and your work is not a gold brick - which is to say, you cannot expect either you or your work to receive some kind of universal stamp of objective worth. You are a person and your work is the product of your own unique fears, hopes, dreams and wishes. Some people will like the fruits of your creativity. Others will find them bitter, or bland, or overly sweet, or rotten. That's up to them. The only person you can ultimately be sure of pleasing is yourself. So make the decisions that feel right to you - be brave - take risks - stretch yourself - and if you fail (and you will, you will) know that the failure was only one missed step on your journey as an artist and that the lessons you learned in the fall will help you to make the next leg of the trip better, if not easier, than the one before. You can also read this fantastic essay by Kate Elliott on writing characters as human beings (who are female) and mentally replace the word 'women' with 'person of colour/QUILTBAG person/disabled person'. Elliott makes an excellent point that even the most aware writers will always be working to make choices against their natural, internalised assumptions and prejudices, and offers much better advice than I do. And now! A feast of awesome and diverse linkity in no particular order! The Gay YA is a great, inclusive blog that focuses on the QUILTBAG community and books featuring QUILTBAG characters (asexuals represent!). Queer YA is a similar site run by a UK blogger that looks at UK queer youth culture and QUILTBAG representation in the media. DiversifYA are just darn good people and their blog looks at all aspects of diversity. Again, they're focused on YA, but since YA is where the best discussion is... that's where you go. Same goes for WeNeedDiverseBooks (which involves some of the same amazing people) the thundering campaign which changed the landscape of children's publishing forever. Then there's Diversity in YA, which has been going for a long time and is run by personal heroes Malinda Lo and Cindy Pon. They offer stinging editorials and statistical analysis of current levels of diversity in publishing, and helpful round-ups of diverse books coming out now. Rich in Colour are also all about discussing, promoting and reviewing diverse YA novels. Disability in KidLit offers a similar thing to Diversity in YA, focusing on the representation of disabilities and disabled people within YA. They do a lot of thoughtful book reviews. The website is run by some really great, gutsy ladies. In more general, less YA focused sites, there's Writing in Colour, which is just the best resource for writers seeking help to create a richly diverse and respectfully realised cast for their work - their mods will personally answer questions on the specifics of their lived experiences, or throw requests for information out to their followers if they're unsure. If you're looking for inspiration for a period piece, Medieval PoC is an enduring delight, offering European art history with the people of colour front and centre instead of cropped out, to disprove the idea that 'historical accuracy' = white. Also inspiring me currently is SuperHeroesInColour, whose posts prove that there have been superheroes of colour as long as there've been comics (so there). Phew, OK, I think that seems to be about it? I hope this is in some way helpful, Alex. Thanks to my Tweeps who responded to my call on Twitter to jog my memory about sites dealing with diversity - I'd probably have forgotten several great blogs without your help. Apologies to anyone whose suggestion/s wasn't included or whose site was not included - Alex is living in the UK and, as she mentioned, is working on a play, so a lot of the sites for children's literature or which were particularly US-centric weren't going to be particularly helpful to her. But hugs to all anyway!